What were you up to this weekend? Unless you were plastered in front of your television you probably missed VGX, Spike's new and improved video game awards show. The awards show itself left a lot to be desired, and if it wasn't for the antics of host Joel McHale, the event would have been rather boring. But amidst all that we did get a glimpse at a slew of new trailers, all which outlined upcoming next-gen titles for both PC and console. First up is Respawn's fast-paced futuristic shooter, Titanfall, which is showcasing two new mechs. The Ogre, which is a hulking, heavy armored mech, and the Stryder, which acts as a fast and lightweight speeder, will definitely help to amp up an already chaotic battlefield. The newest Witcher 3: Wild Hunt trailer showcases some impressive graphics, a glimpse at the "open world," and some entertaining looking multi-directional combat. Massive Entertainment gives us a glance at their latest project, Tom Clancy's: The Division. The main focus of this video showcases the Snowdrop Engine, which was used in development for the title. This trailer is a great glimpse at just how great next-gen games can look. Eidos and Square Enix are next on the block with a look at Thief. Anyone who played the previous titles should be very excited by this new trailer, which showcases some gameplay, as well as some beautiful visuals. 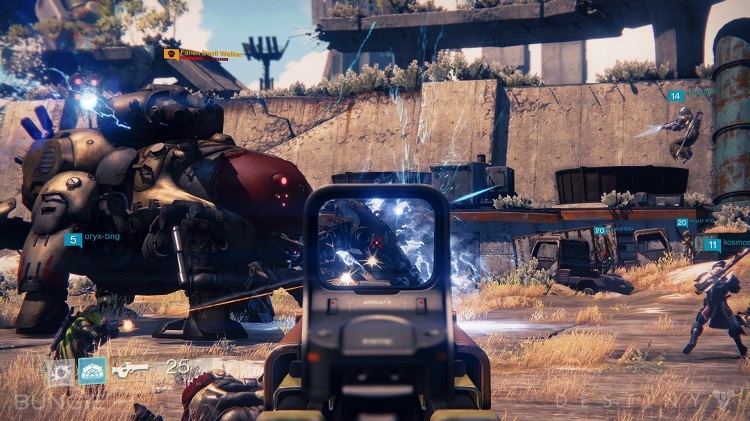 Bungie fans rejoice, we get another peek at Destiny. This title is shaping up to be an intense cooperative experience and this trailer helps to capture the game's "epicness." Last on the list is Telltale games, the creators of the popular cinematic/decision-making title based on The Walking Dead. The developer announced that it will be taking on two new projects, one based on the Game of Thrones series, and the other taking place in the Borderlands universe.